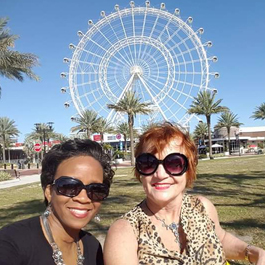 Redi Pedi is the best way to experience International Drive. 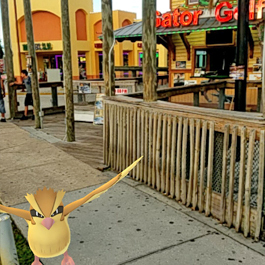 Take a tour in Orlando, Florida and see the sites of this world famous destination. Redi Pedi pedicabs, a.k.a. 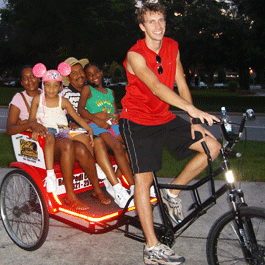 rickshaws, bike taxis, or bicycle buggies, offer bicycle-pulled rickshaw rides and tours on International Drive. Our drivers will be your personal tour guide as we take you off on one of our personalized tours. Choose one of our tours or call us for your own customized one. Sit back, relax, and enjoy the ride with a FREE bottled soda or water as we show you one of the most amusing ways to see International Drive. **All tour are subject to availability. ***Pedicab Driver’s Gratuity Not Included in ticket pricing. ****Groups welcome and major credit cards accepted!